Summer is here and that means lots and lots of playtime outdoors and for us it also means many trips to the beach! 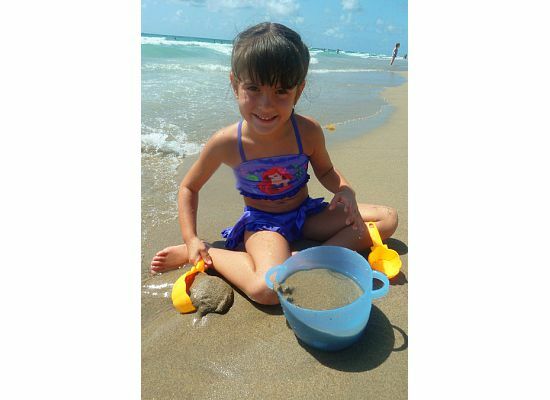 The Lil Divas LOVE to play, dig and create in the sand so when Melissa & Doug asked us to try a few sand toys from their new Sunny Patch line I immeditaely said yes. We have so many top quality Melissa & Doug items in our house that are used on a daily basis (puzzles, play food, magnetic dress-up dolls, magnetic letters, magnetic dry-erase/chalk board & so much more), I knew these would not disappoint and I was right! The Lil Divas and I were impressed with the items right out of the box. 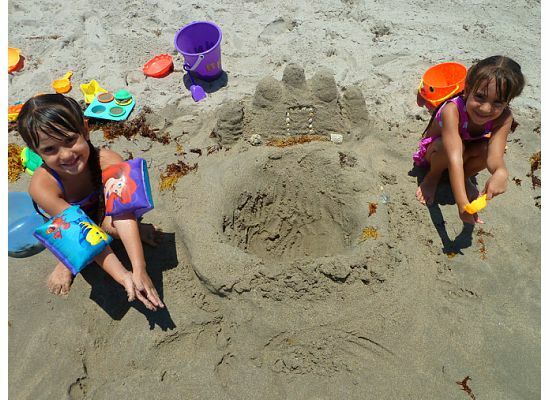 They wanted to use them right away and actually played at home with them in their kitchen before we got to take them out for a real try in the sand. Today, we went to the beach with our new sand toys. The Lil Divas had such a wonderful time playing in the sand. They scooped, mixed and poured batter for sand cupcakes. and what a lovely time we all had playing in the sand with our Sunny Patch Sand Toys! The Lil Divas truly enjoyed playing with the Sunny Patch Sand Toys﻿. 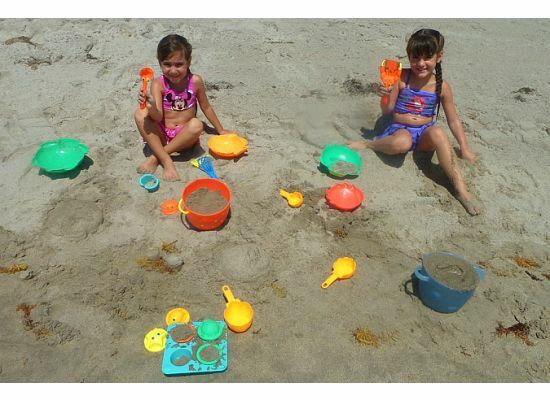 They were able to combine their love of cooking, playing in the kitchen and time at the beach for some fun hands-on and imaginative play in the sand. 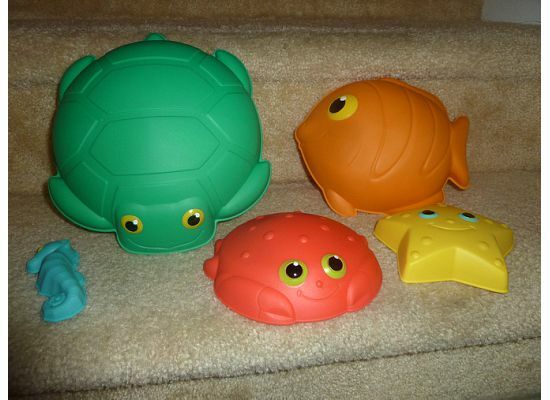 I liked that the toys cleaned up easily and well and are easy to carrry around. both inside and outdoors & at the beach and at the pool! 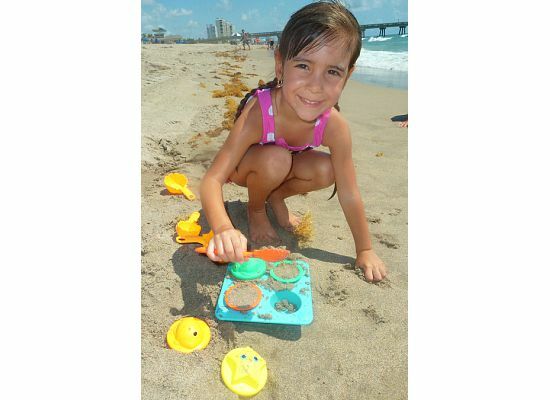 Buy It: Purchase Sunny Patch Sand Toys at the Melissa & Doug website and at local toy retailers. Visit Melissa & Doug and tell me which other Sunny Patch Sand Toy you would love to try. please include your e-mail so I can get back to you if you win! Disclaimer: I received the Melissa & Doug Sunny Patch Sand Toys pictured in this post for the purposes of trying them out for this review. That being said, this review is my 100% honest opinion of this product - I am not paid for my reviews or optinions! They are 100% mine! Please remember that your opinions and tastes might differ from mine. 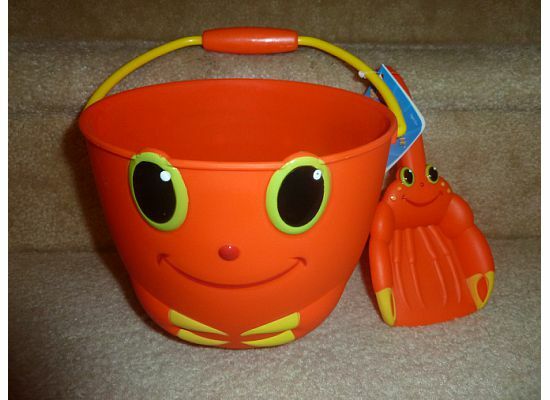 I just bought the kids today a sandbox, so I am in the market for sand toys. What perfect timing. I adore the Octopus tote for carrying all things beachy and also have a soft spot for seahorses so the seahorse sand sifter may soon be added to my shopping cart. Thanks again for sharing. 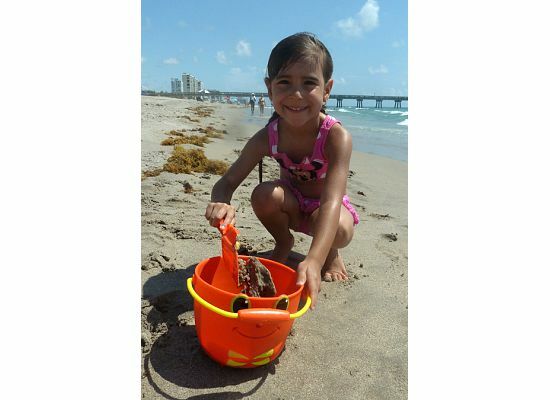 We would love to have Seaside Sidekicks Sand Cookie Set my daughter lives in her sandbox in the summer!! Follow Melissa and DOug on twitter! What fun! Here from the Hop. Would love to win the baking set for my Little Miss. My girls would love Speck Seahorse Ice Cream Set. love the ice cream set! I follow you publicly on GFC. I am following melissa & doug on Facebook. I am following melissa & doug on twitter. I am subscribed to your email subscription. I "like" Melissa & Doug on FB. These are great! As for other ones I like, I think that octopus tote bag is adorable! They are all so cute! I would love to try Seaside Sidekicks Sand Cookie Set. I "like" mellissa and Doug on facebook. 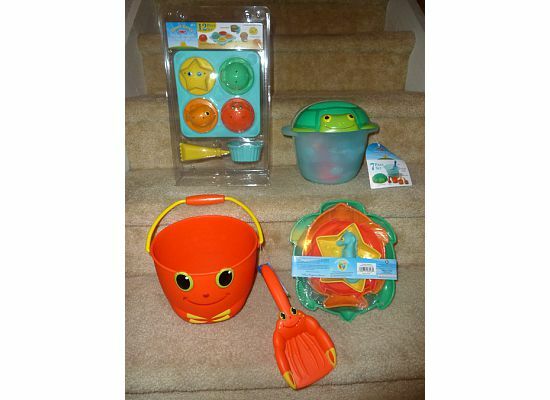 Cute products we would love to try the Seaside sidekickers horseshoe set! Would love to win! We follow you thru email now! I love their sand toy line!! 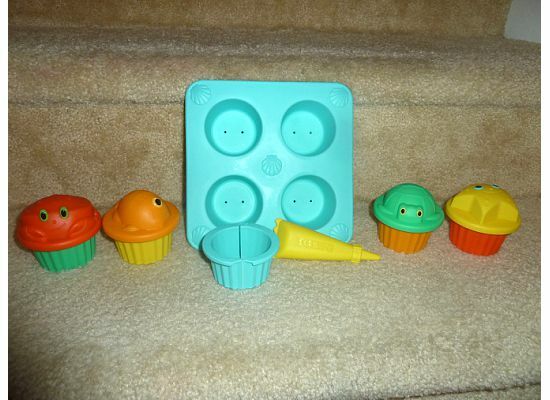 Besides those 4, I love the cookie set and the cake set. Also? The tote bags? FAB!! I "liked" Melissa & Doug on FB! Melissa & Doug twitter follower! I also love the Speck Seahorse Sand Ice Cream Set, so fun! 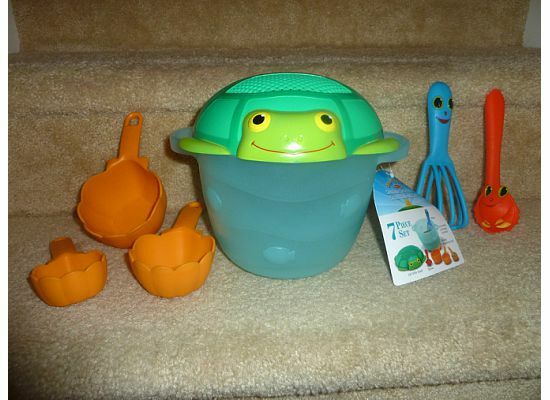 I would love to try the Flex Octopus Pail and Sifter. I'm a follower of Melissa and Doug on FB. I like Melissa & Doug on Facebook! I follow Melissa & Doug on Twitter! 'm signed up for Melissa & Doug's Treasured Toy & Birthday Club! The sand cookie set looks really cool too! I like the Clicker Crab Hourglass Sifter & Funnel! Thanks for the chance to win! I follow you publicly via GFC. Entry #2.